The German army in WWII used a wide variety of wheeled vehicles as part of their overall strategy of fast mechanized warfare. 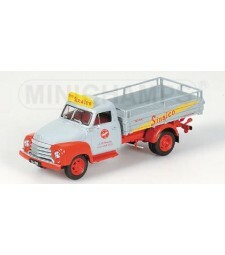 Among the most widely used was the 3Ton 4x2 Cargo Truck, a truck design that was first produced in the 1930s. Featuring a dependable 6-cylinder gasoline engine,the 3Ton 4x2 Cargo Truck could take on a very large payload disproportionate to its size. 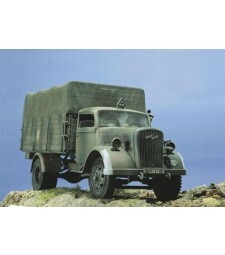 They proved to be not only extremely reliable, but also very versatile, and were employed in a wide variety of roles, including fuel truck, ambulance, radio truck, as well as general-purpose cargo truck. 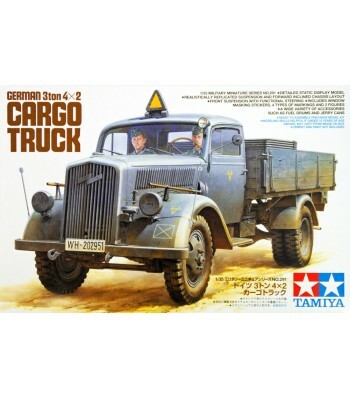 High-quality 1/35 scale assembly model kit of the 3Ton 4x2 Cargo Truck. This kit is an all-new molding, and is much more accurate than kits current on the market. 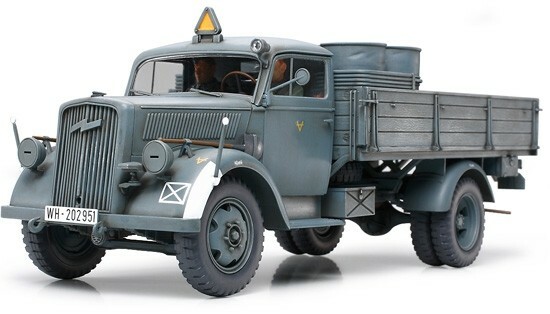 The actual trucks chassis had a forward slant (designed to balance the cargos weight), and this unique feature has been accurately reproduced. Suspension features a reasonable number of parts for easy assembly without sacrificing detail.- Driver and navigator figures included. 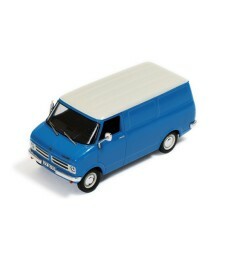 Accessory set of fuel drums and jerry cans also included for a full cargo load. Comes with 4 types of markings, including both German army and Luftwaffe units. 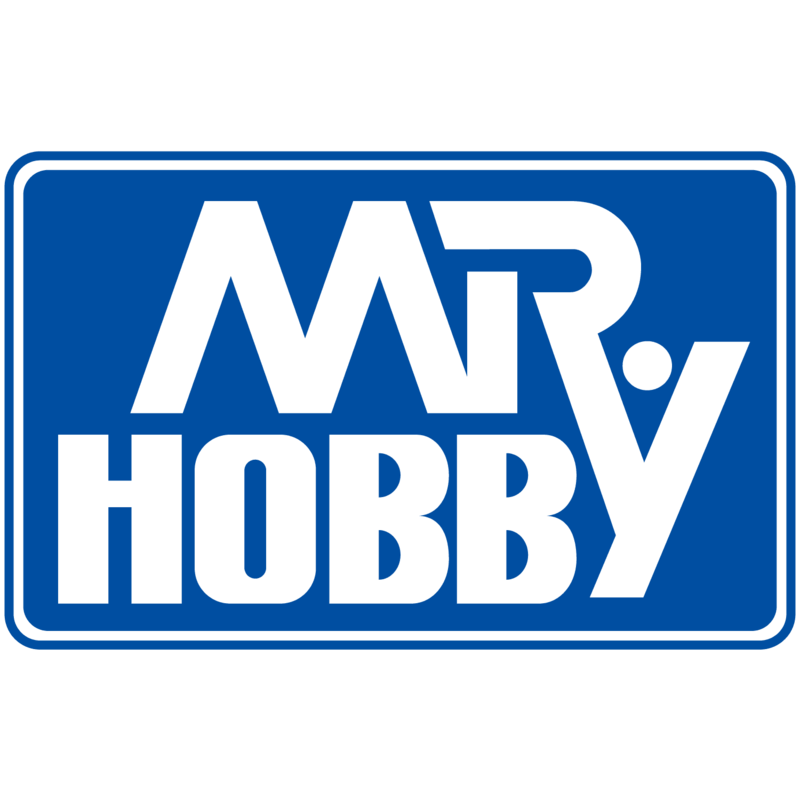 To aid with painting, window masks will be included for the first time in a military model. 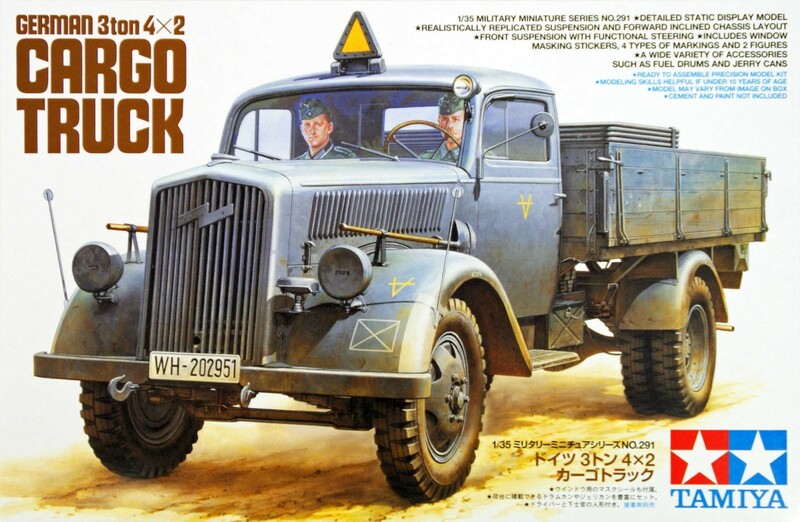 The actual truck served from the 1930s to the end of the war on all battle fronts, so this model can be displayed together with a wide range of other Tamiya 1/35 scale vehicles and figures such as Sturmgeschutz III Ausf. B and King Tiger.